In addition to iPhones, Foxconn is also said to be looking to build iPads and iPods in India, for both local and international sales, according to Reuters. Details on Foxconn's alleged plans were shared by Subhash Desai, Industries Minister of the state of Maharashtra in India. Publicly, Foxconn has said it plans to build up to a dozen facilities in India by the year 2020. But on the subject of an Apple-specific plant in the nation of over a billion people, the manufacturer declined to comment. Foxconn has historically built devices in China, but in recent years has shown interest in strategically expanding around the world, to better serve certain markets. For example, the company expanded to Brazil in 2011 and does build some iPhones there, though ramp-up in the South American country has been slower than anticipated. An expansion to India would be a key strategic move for both Apple and Foxconn, allowing the companies to offset rising wages in China. With lower production costs, Apple could also get more aggressive with iPhone pricing in the country, where it trails behind South Korea's Samsung and local Indian manufacturers like Micromax. 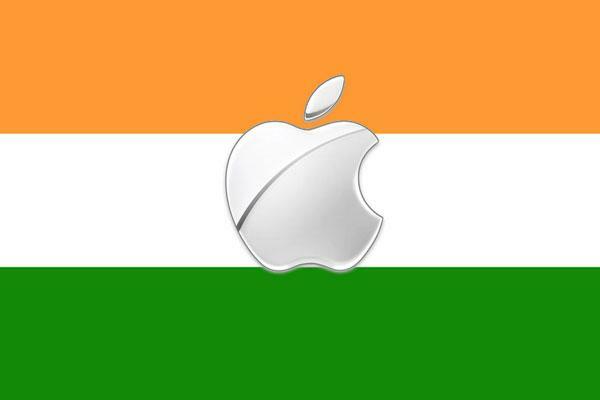 In recent years, Apple has boosted sales in India through a variety of different strategies, including payment plans to mitigate the up-front costs of buying an iPhone, as well as partnering with resellers for retail storefronts. The debut of the larger-screened iPhone 6 and iPhone 6 Plus are also said to have boosted interest in India, though costs are believed to remain a prohibitive factor. Despite a population that tops 1.2 billion, India remains one of the poorest countries in the world —its nominal per-capita GDP of just $1,509 is far below China's $6,959 and barely outpaces that of war-torn nations like South Sudan, according to data from the International Monetary Fund.